Like a hurricane hitting a shore, the heavy-rock Salt Lake City band Light/Black has rolled into the local music scene and left a path of musical destruction in its wake. The group has been making music for just over a year, earning cred with rock-loving crowds for their engaging performances. And now, the release of a self-titled debut album will keep that downpour of hype coming. 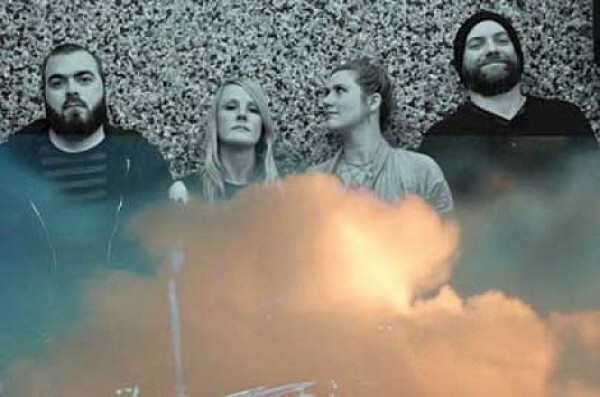 Light/Black formed when Wakefield and her husband, Levi Lebo (guitar), started jamming in early 2012 with Josh Asher (drums) and Danielle Mariott (guitar). The group quickly scored killer gigs with local favorites like Pleasure Thieves, INVDRS and Wovenhand, which helped them earn an instant following and an unofficial branding of “doom rock.” But when asked about the informal genre-labeling, the band members have a different take on their sound. The band soft-released some tracks online in late 2012, but it was clear that a full-length album was in order. Everyone took it on as a collaborative effort both inside and beyond the studio. This is an album you need to pick up and allow to blow apart your speakers.